With this 20,000 mAh, Halo can fully charge iPhone for 7 times. 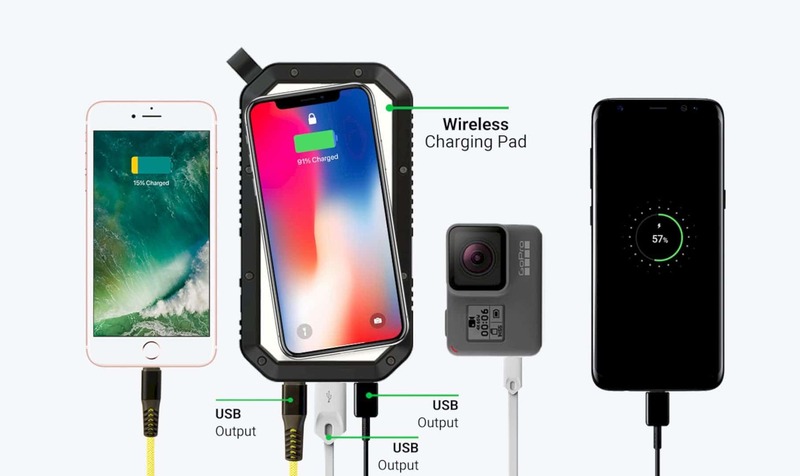 And it can fully charge Go Pro Camera for 16 times at one charge. That’s incredible. Halo doesn’t need a cable to recharge. Because in this power bank, there a solar panel. This panel will help recharge the power bank. In the modern era, everyone has a smartphone. And this is a proof that technology is going fast forward. 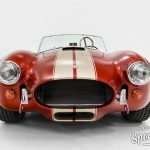 There is a lot of new technology release every single day and every year. Technology helps people in their life. Especially Smartphone. To support this technology, a lot of developer release an accessory. One of this accessory is Power Bank. 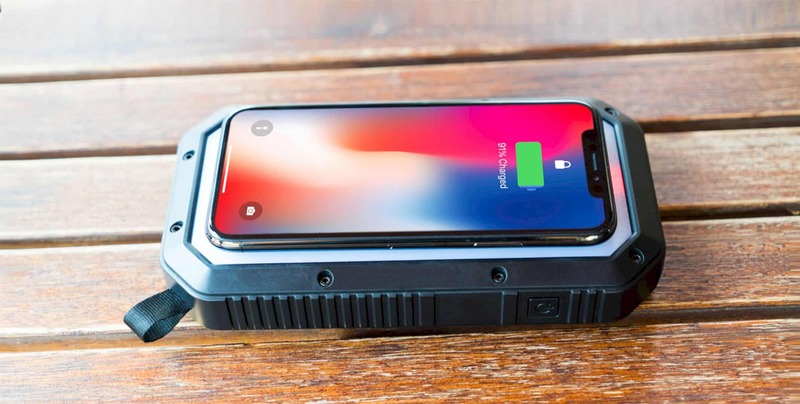 ChargeLabs release a new power bank technology, Halo. 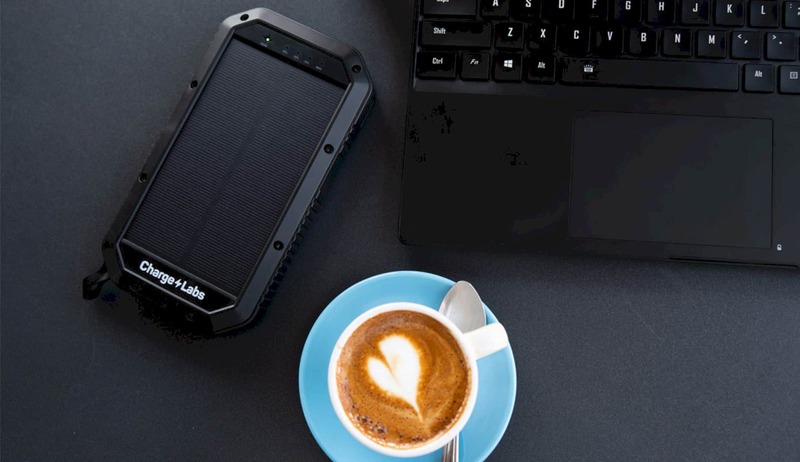 This power bank uses a solar power to charge electronic devices. And it’s easy to use. Halo has a compact design with a lot of features. 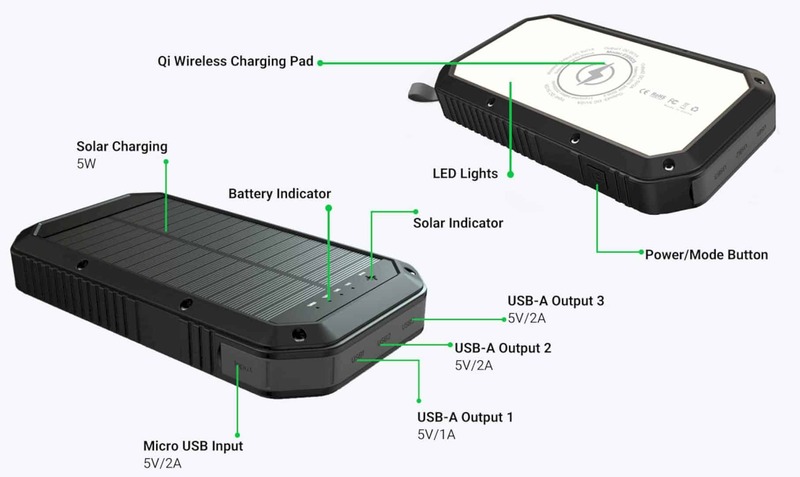 This power bank uses a solar power system to recharge the battery and other electronic devices. Halo IP65 has a luxurious design with Black and White Color. In the center, you will see the LED and Solar Panel. This panel will take a power from the sun. Halo much more useful. Besides the solar panel, in this Halo provide waterproof packaging and durability. This power bank will help you to charge a smartphone and any other electronic devices. Halo has a 20,000 mAh battery. This solar panel power bank also has a flashlight. It will help you if you go to adventure. 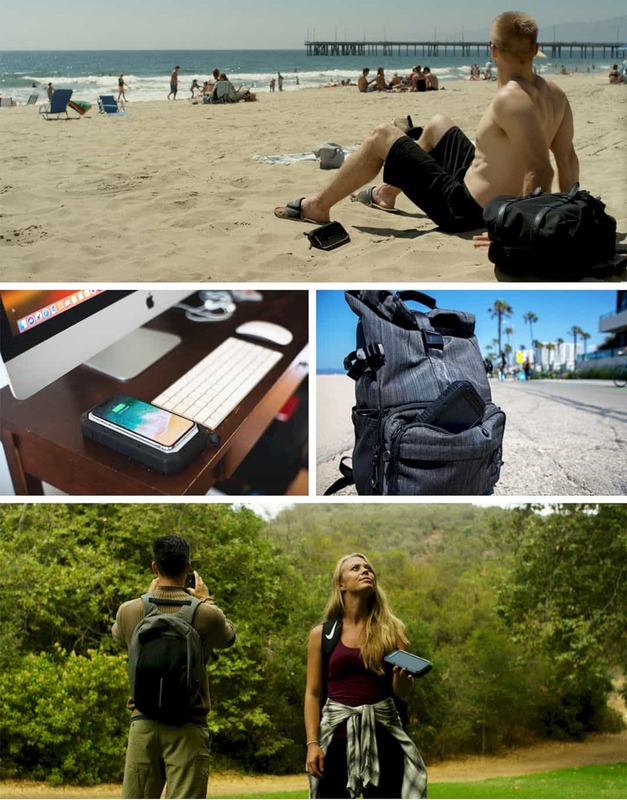 You can bring this power bank to camping, hiking, and any outdoor activities. 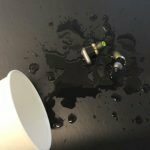 Halo provides Qi Wireless Charging. You can charge your phones, Go Pro Camera, or Music Player without Cable. But Halo provides a cable too. Halo can charge 4 electronic devices at Once. Three Quick Charge Outputs and 1 wireless output. You can get this power bank only $129 until November 2018.